With a pair of victories and 10 feature top-10’s, Luke Gignac put together an impressive sophomore OSCAAR Modified campaign en route to being crowned the 2017 Champion. Focusing on each weekend paid off, as Gignac started off the year with four straight top-five finishes, including his first career series victory at Flamboro Speedway in June. He kept the momentum rolling the next three events, scoring a ninth at Kawartha Speedway and third at Flamboro, before his second win at Peterborough Speedway. 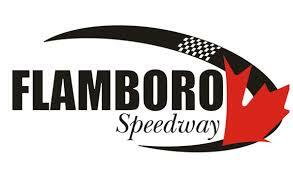 While Sauble Speedway did not pan out as planned with a late-race crash, a runner-up at Sunset Speedway and ninth at Flamboro allowed him to roll into the Autumn Colours Classic at Peterborough with a sizable points lead. Locked to start on pole following his August victory, it appeared business as usual would lead to the success. However, there was a touch of panic when the car wouldn’t start prior to lining up for the feature. Taking the green flag from the pole position, Gignac ran up front throughout the entire feature en route to a third-place finish, which allowed him to take home the crown. The crown just adds to his statistics in OSCAAR competition, as his rookie season in 2016 saw him place second in points to Gary McLean with five feature top-fives. Comparing the years together, Gignac said the biggest difference from last year to this was “plain and simple – time,” from experiencing in the seat, to the team growing closer together. Now the focus shifts ahead to 2018 with hopes of winning a second championship behind the wheel of the No. 99 PBS Motors and Pumps, Fox’s Bakery and Deli, OTD Building Supplies, Dave Wiggins Custom Exhaust, Heritage Heating, Wix Filters, TSS Top Shops, Morton Metals, and Dwinnells Family Movers Modified.